This presentation is provided by Mr. Mikael Jakobsson, Executive Director from the Asia Pacific Urban Energy Association (APUEA) to give an introduction of APUEA. 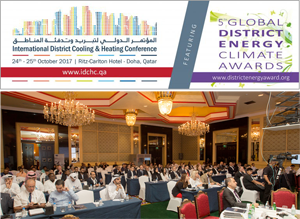 It is presented at the International District Cooling & Heating Conference, 24th-25th October 2017, in Doha, Qatar. Click here to download the presentation [pdf 1.5 mb].